Happening March 23, 2019, Cabarete Carnaval celebrates five years of music, art, culture, and good vibes! The parade begins at the Callejon de la Loma, follows the main street in the town center, and finishes along the beach in front of the restaurants of Cabarete Bay. What is Carnaval? Or is it Carnival? Carnaval is a festive season that takes place in many cultures around the world. One of the nice things about Carnaval is that each country has its own history and therefore its own flair. Whether it is spelled Carnaval or Carnival just depends on where you are. Carnival is the Latin-derived name of the holiday, typically in areas where Dutch, French, Spanish, and Portuguese are spoken. The binding principle of every Carnaval is the love of creativity and community. Everyone is invited to dress up and dance in the streets, regardless of age or social status. People are encouraged to set aside their everyday individuality and experience a heightened sense of social unity. It’s a celebration of the most genuine kind. Since the days of the 15th century, the Spanish conquistadors who built the first European settlement in the DR have been celebrating Carnaval. This makes it the oldest carnival in the Caribbean region. The current Dominican version indulges in folklore, imitates history, and alludes to its roots in African spirituality. According to godominicanrepublic.com, “Carnival is the most significant, lively, colorful and joyous expression of Dominican popular culture you will find.” The event happens every Sunday in different cities in the Dominican Republic throughout February. The Cabarete Carnaval is a little different in that it happens in March and is much better suited for families. In some of the more popular Carnaval locations, such as La Vega, things can get a little wild. But the creators of the Cabarete event go to great lengths to ensure our parade and after party is a lot more tranquilo. 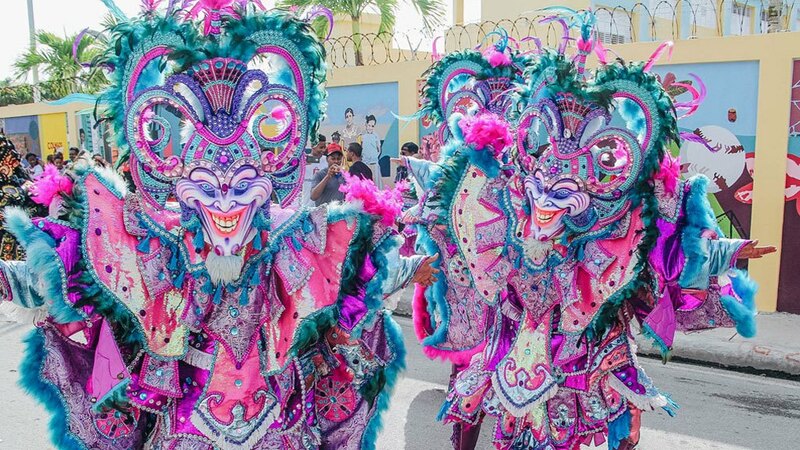 Focused on youth, promoting popular traditions and educating about Dominican folklore, Cabarete created the country’s first Carnaval celebrated on the beach. Every year, the event grows little by little, earning more Comparsas and a broader audience. You can expect to see Comparsas from different areas of the country such as: the Pintaos (Barahona), the Roba La Gallina (Baní), the Muñekas de la Tabacalera and their Lechones (Santiago), the Platanuses ( Cotuí), the Devils Cojuelos (Constanza) and the Lions of Villa María (National District), and more. 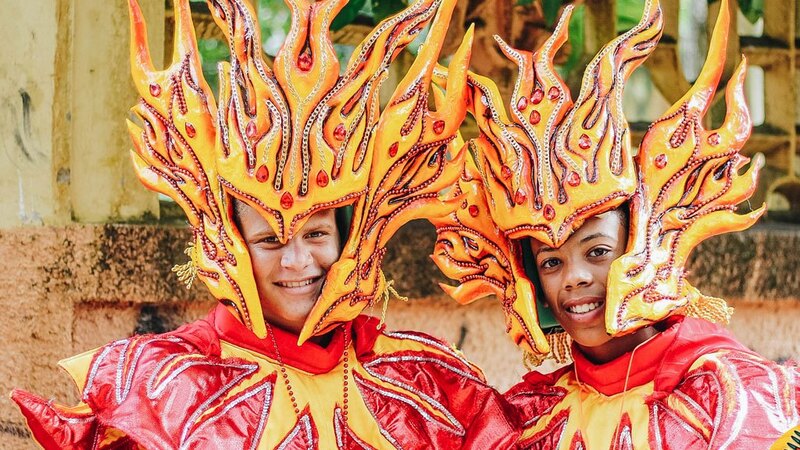 As an added bonus for the Cabarete Carnaval, ‘Diablos del Atlantico’ is a workshop for local children who will participate in the costume creation with artisans, and learn about the folklore, history, and culture of Carnaval in the Dominican Republic. Follow Cabarete Carnaval on Instagram and Facebook.